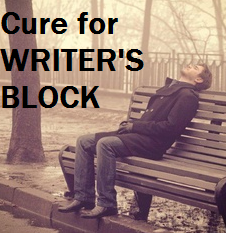 Every writer stumbles upon a time where they have writer’s block. A very bad thing, but it’s normal to get it. Writer’s block isn’t fun obviously but if you aren’t the kind of person to just sit down and just write anything; here are some ideas and ways to cope and move past writer’s block. Tea. You have probably heard this before but whatever the below ideas are that include being inside, always have some tea beside you. I prefer green tea with lemon, English Breakfast, peppermint, Earl Grey etc, but whatever you like.. LET THE BREWING BEGIN. Music. Yes; music. Listen to a ton of music, and vary it all! Celtic is very good a sparking creativity along with Emotional Music. Try sad songs, happy songs, anything. Read. Yeah you heard me, read. Curl up and read a new or old book. Reading will give your mind a break and might even spark new ideas. Dance. Yes dance. Play some more music and this time dance. If I have writer’s block; I might turn on Celtic and dark, voiceless music and just let myself move to it. Play a story in your head (and with your body) along to the music! It might strike a whole story. Pinterest. This is an amazing site where you can browse and collect pictures of anything. A great place to plan stories with visual ideas. Browse here; ideas will flow. Nature. Go outside! Breathe fresh air, take a walk, take a moment to enjoy everything God created and it just might help. Take in this world, it is beautiful. Hobbies. If you have another hobby besides writing do it! Write. Just write whatever; even if it isn’t what you should be writing, sometimes taking an unwanted step back helps. Well I hope I helped! 🙂 And remember; KEEP WRITING!